Enjoy something sweet in a healthier way with this chewy, crunchy, chocolaty treat. Gluten free, dairy free, nut free and vegan. Chocolate bark is a great last minute Valentine’s Day recipe or fun and easy treat to make with kids. Chewy, crunchy, and chocolaty, you can enjoy something sweet in a healthier way with Swirled Berry Vanilla Puffs Chocolate Bark. This bark is also one of the best gluten-free no bake dessert recipes you can make for your Sweetie! 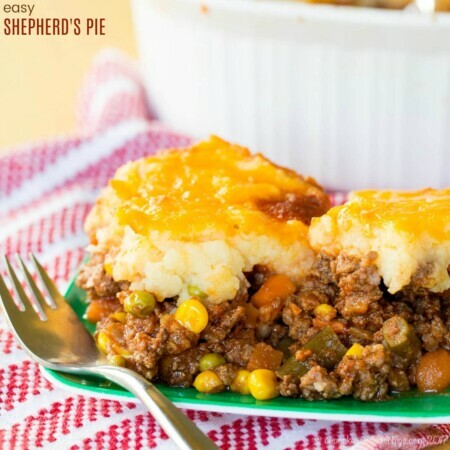 Disclaimer: This post is sponsored by Cascadian Farm, who provided the product for this recipe and giveaway. I was compensated for writing this post. As always, all opinions are my own. I’m pretty strict with breakfast. Most days, since The Bug was just a wee little one, it’s plain yogurt with fruit mixed in, maybe some flax seeds or chia or chopped nuts, or homemade granola, or for a little variation, I’ll turn the fruit and yogurt mix into overnight oats. If the boys are still hungry, I’ll give them a piece of fruit or some trail mix or a mini muffin. But I feel like starting the day with a good dose of protein, calcium, and all the vitamins and antioxidants in fruit just sets them off on the right foot. And I can make it the night before, which means less scrambling around in the morning. I figure, between preschool and playdates and, well, life there’s always plenty of more portable snacks like crackers and granola bars floating around. Of course this means the boys think Sundays are super special and daddy is a total hero because he makes them oatmeal or cream of wheat. I can make them twenty out of their twenty-one meals for the week, but daddy makes that one breakfast, and he’s the rock star! Ah, such is the life of a mom! Naturally The Bug asks me for all of those bright, colorful cereals with fun shapes and characters, but I know that’s not what’s gonna give this high-powered 4 year old the energy to get through a day of school, playtime, karate class, and whatever else comes his way. So honestly, cereal has almost been relegated to dessert status in my house, when I’ll mix a little with some nuts and dried fruit for a snack mix, just as a little treat. But when Cascadian Farm asked me to try their new Gluten Free Berry Vanilla Puffs, I was intrigued. I mean, most organic, fair trade, whole grain cereals are basically on par with tree bark, at least in the minds of kids! But guys, these are yummy and fun!! Your kids can have bright, colorful cereal WITHOUT crazy day-glow artificial colors. Why? Those yellow and purple puffs – YELLOW and PURPLE CORN!! Totally brilliant! Plus the kiddos will love the slightly sweet berry vanilla flavor that comes from organic flavors and extracts (as well as the fun maze and word search on the back of the box). You’ll love that it’s not over-the-top sweet, has 11g of whole grains per serving, and is not genetically engineered. Anyone with celiac disease or a wheat intolerance, like me, will be thrilled that they are gluten free. And Mama Earth, well, she’ll love the plant-based packaging materials. We’ve been sprinkling them on top of yogurt and snacking on them straight out of the box. I’ve even experimented, making bars and clusters and snack mixes that the boys (and The Hubby and I) can enjoy. I can feel good about giving the boys these Berry Vanilla Puffs for breakfast (along with some milk and fruit, to round out the meal). But why stop there? 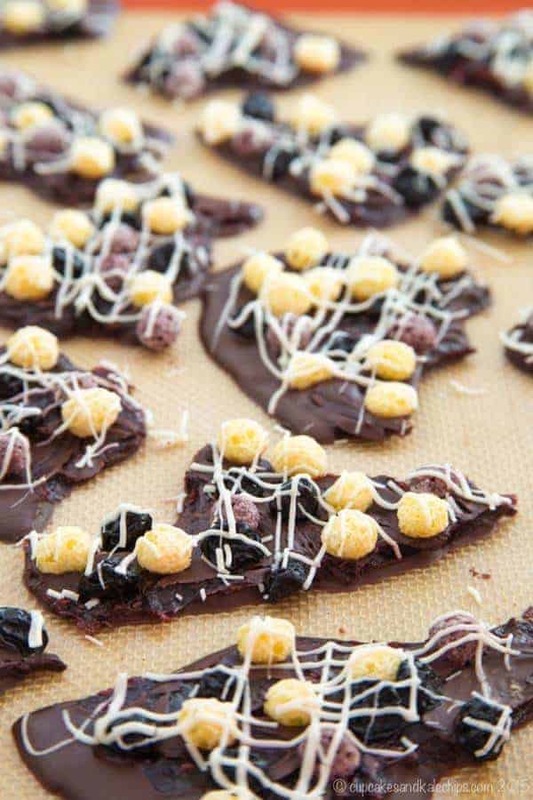 Why not turn them into a chocolate bark dessert, just for fun?! Because as I always say, it’s all about balance, right? 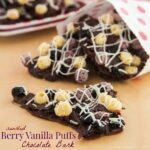 So take, literally, five minutes and make Swirled Berry Vanilla Puffs Chocolate Bark. Because when you make a treat using good quality, antioxidant-rich dark chocolate, it’s okay to indulge a little! Add some swirls of fruit spread and dried fruit for some berry flavor and chewy texture then top it off with Cascadian Farm Berry Vanilla Puffs for a little pop and crunch, and you have a totally fun Valentine’s Day or any day treat! The kids will have fun sprinkling the puffs and their favorite dried fruit, and then making it all pretty with a little drizzle of white chocolate is totally up to you. I’m going to put them in a little box to send to the boys’ preschool, so I wanted them to be all fancy! I know, cute, right?!?! But even if you’re just pouring them into a bowl or snacking on a handful, you and your kids are gonna love this new cereal! Line a sheet pan with a silicone baking sheet or wax paper. Melt the dark chocolate at 50% power in the microwave, stirring every 15-30 seconds until smooth, or melt over a double boiler. Pour the chocolate onto the prepared sheet and spread into a thin, even layer, about 1/4 inch thick. Place the fruit spread in the microwave for a few seconds and stir until smooth and flows easily. Drizzle over the chocolate and swirl though the chocolate with the tip of a butter knife or skewer. 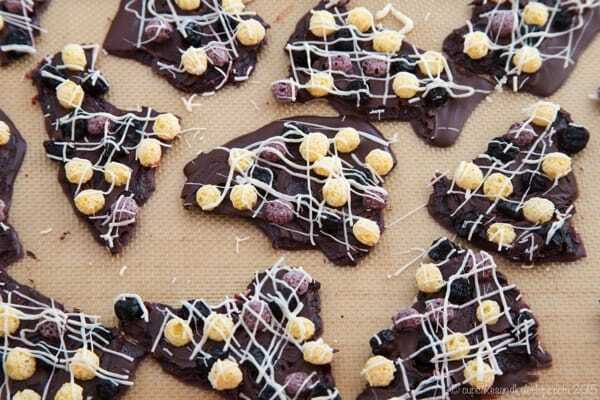 Sprinkle the Berry Vanilla Puffs and dried fruit over the chocolate, pressing in slightly. If desired, melt the white chocolate in the microwave or over a double boiler. Drizzle with a spoon or transfer to a small sandwich bag, cut off the tip, and drizzle over the bark. Allow to cool to room temperature until the chocolate has solidified again, then break into pieces. 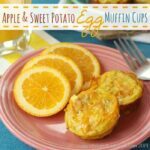 Serve a bowl of Berry Vanilla Puffs alongside one of these, for a tasty and satisfying breakfast. In a bowl with milk. In a bowl with milk! Yum! Probably mostly eaten by the handfuls, but I’m sure some would be consumed with chocolate in the mix. I would eat the straight out of the box, but the bark recipe sounds wonderful. I would enjoy them as a crunchy counterpart to my morning yogurt. I was trying to put 5 stars, hitting 1 star at a time, but after hitting the first star, it would not let me finish. My rating is definitly 5 stars. I absolutely love snacking on cereals! Yum! I would just enjoy them in a bowl. At our house cereal is a treat we have late at night and this looks perfect! I love using cereal in recipes. The one you have here looks amazing! In a bowl with milk – I love eating a bowl of cereal. Any time of the day or night. I would use them for snacking… straight from the box! Definitely by the handful! 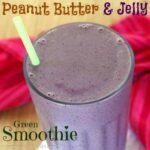 Would make a great snack! In a bowl and as a snack. I always mix my cereal with yogurt. I’d try them in mug with lowfat milk. Oh man I would straight-up eat em. I wish I had some now. I would love to eat this with milk for sure. 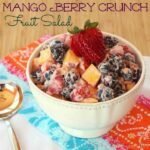 My hubby LOVES anything with cereal….so if I made him a dessert with it? Pretty sure he would love me…well, even more than he already does 😉 Totally pinning and loving this! I would eat these straight out of the box. 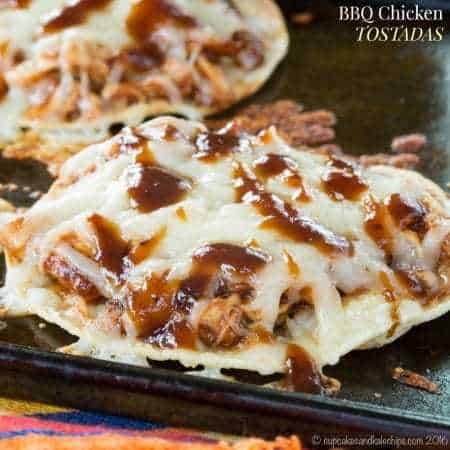 Would make for a great and easy snack for the kids as well. By the handful is how I usually eat cereal but this recipe looks really good. I would have these in a bowl of milk, I would also have these by the handful! I am also thinking about recipes. I bet “rice cereal bars” would be extra yummy with these! I’d probably plan on eating these in a bowl with milk but would end up eating them right out of the box instead! I’d give these to my 2-year-old granddaughter. 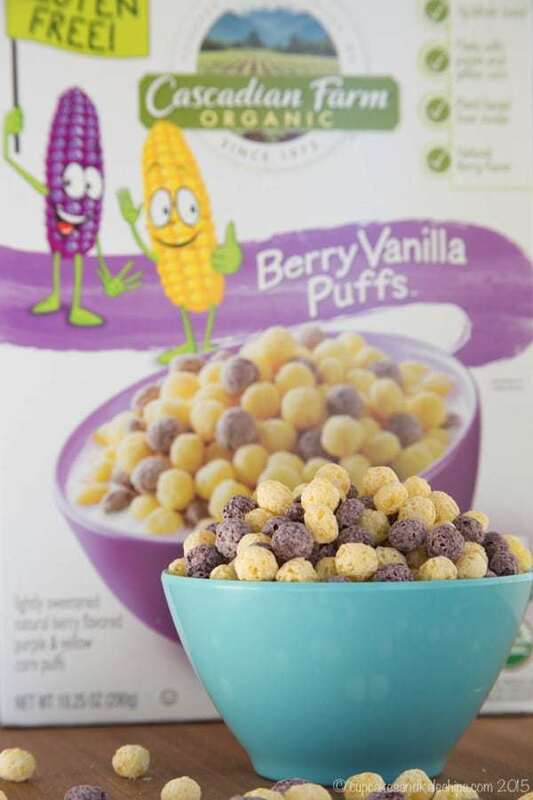 I loved puffed cereal and this particular one looks so good! I love that the blue color is natural, too! 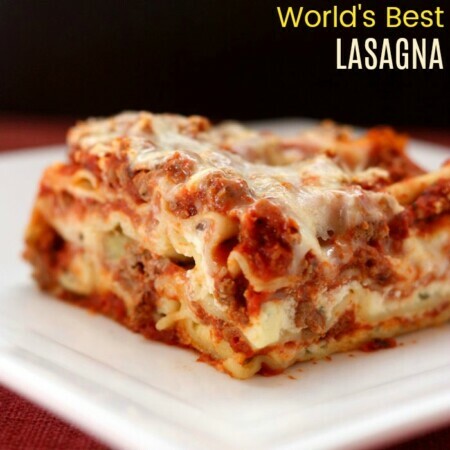 Super fun recipe. I think I would stick to eating these in a bowl with milk. I prefer to eat my cereal by the handful. This flavor sounds great! I’ve never tried Cascadian Farms cereal before either. I love this so darn much. Cereal is my major downfall. With chocolate????? OMG. I love the puffy crunch with the chocolate – a fun texture and colors! I would love to put it in snack bags and take to work for my afternoon snack fix!!! I like having something to snack on during my evening classes that won’t kill my waistline. These would fit the bill nicely! I’d make a variety of trail mixes with these yummy puffs, and put them in snack size packages and then in a big jar, to take one (or two or three) as you go out the door! I’d add nuts, seeds, dried fruits, and other fun goodies I’d find, but lots of puffs!!! Hi Brianne! What another great giveaway! thank you! I would try all 3. LOL. with milk, just handful and in a recipe (yours!). Love that it’s organic!! I’m a cereal-aholic. Just gimme a big bowl with almond milk please!!! I would use these to make marshmallow treats! 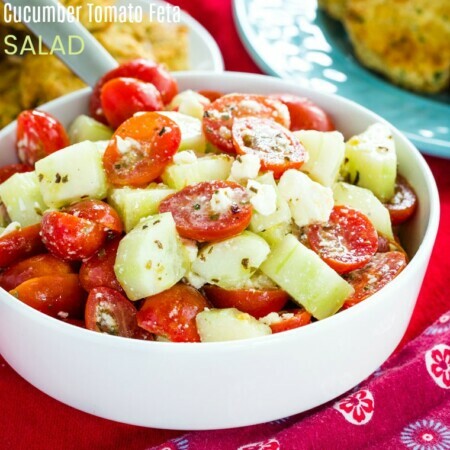 This is such a creative recipe – looks so delicious! I also can’t wait to try those tasty berry vanilla puffs! I would enjoy Berry Vanilla Puffs in a bowl with soy milk. I would take them on the go in a ziploc bag in my purse. I’m a stickler for healthy breakfasts, too. I figure that the kids aren’t going to be able to focus at school or have the energy to run around on the playground if they don’t have the proper fuel. 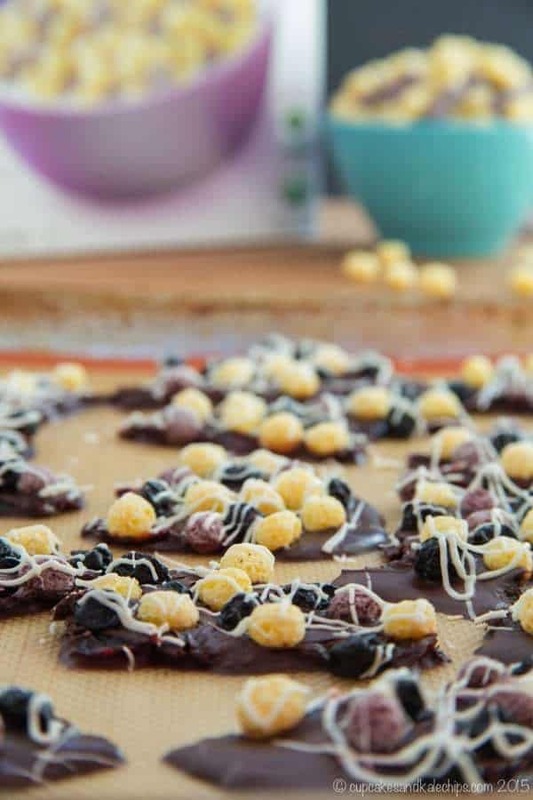 This chocolate bark is such a fun way to mix things up with the vanilla puffs! I know, these crazy kids need their fuel! I thought the cereal would add a fin texture to the bark! This cereal looks good, I would just eat it by the handful. The bark looks delicious too, so I would definitely try some of it! It’s definitely perfect for just snacking on it’s own! I think I would definitely eat this straight out of the box! What a fun combo with chocolate! The texture combo is fun! With vanilla almond milk! Looks tasty and can’t wait to try! I would enjoy Berry Vanilla Puffs in a trail mix. I think I’d eat them by the handful as a snack. And I’d definitely make this bark! It looks really good! 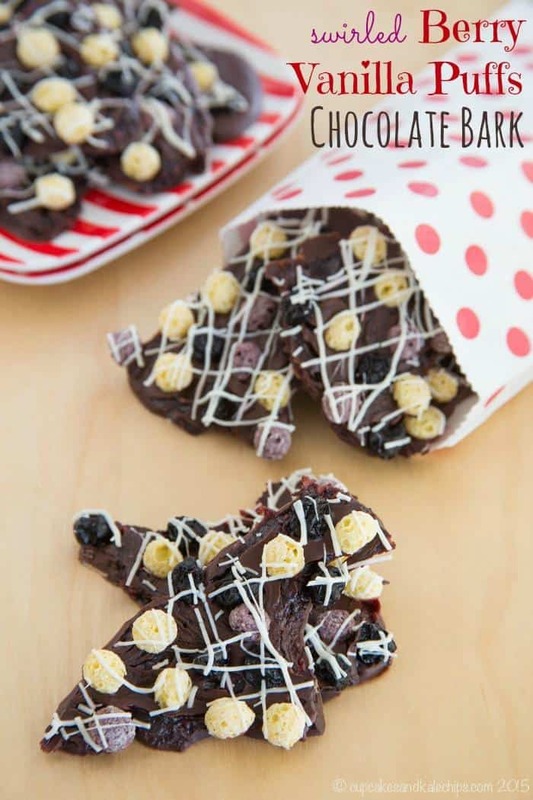 by the handful and as cereal AND in this choc bark!! I don’t think that these puffs would make it into a cereal bowl…I would most definitely eat them straight out of the box! I love making Bark. I have a bunch of different recipes. I will have to try this one. Thanks for sharing.